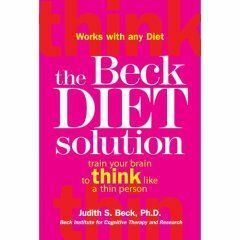 Have you read The Beck Diet Solution? I'm just starting to read this great book: The Beck Diet Solution. It's not a diet. It's a way of thinking about your lifestyle, and making a plan work for you. The idea is to embrace it, adding a new practice every day, so you're not overwhelmed by everything all at once. And it works with any diet or lifestyle. I think if I'm able to follow the suggestions, it will really work for me. If you're struggling, it might help you, too. Best of luck to all of us, We CAN do this!!! I have audio book version of this book, yeah good book I haven’t finished yet I’m so glad you mentioned, that I’ll resume listening to this book. About me not drinking coffee is that, because it’s triggering me for sugary treat when I drinking it. So since I can not control of it, I better stay away for now. So far so good. You are right, I may blog about it as soon as I settle in little bit more. When I do, I’ll let you and my other spark friends know about my blog is up. Take care sweetie. No, but it's on my to read list, as several around here have seen lasting results with the principles!! I love this book, learned so much from it! I agree with Watermellen that this is a book that you can read and then re-read and learn more as you practice the suggestions. Looking forward to hearing your thoughts about the book! Beck was a great break-through for me and so many others here at Spark: and you've come to the right place posting on the Beck team!! Many of us have taken that "Beck trek" multiple times and together: every round seems to deepen the learning! !